Known for his comic timing, Bollywood's gag bag Govinda got emotional when one of the contestants sang "Ram teri ganga maili" on the sets of singing reality show "Indian Idol Junior". 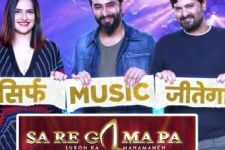 A contestant from Kolkata, Sonakshi Kar, chose to sing the title track from the 1985 released film "Ram Teri Ganga Maili" and it left the actor teary eyed, said a statement. It is said that Govinda's mother (Nirmala Devi) had sung the chorus for it and Sonakshi's voice made Govinda, who was a guest on the show, think about those moments with his mother. 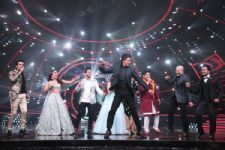 The singing reality show, which provides a platform to children between the age group of 5 to 15, started June 1 on Sony. It is judged by singer Shreya Ghoshal, composer duo Shekhar Ravjiani and Vishal Dadlani. The episode, that will go on air on Saturday, will see the top 10 finalists crooning songs from the disco era. 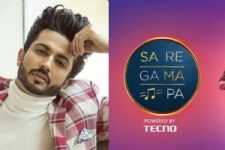 The other nine singers on the show are Anmol Jaswal, Nirvesh Sudhanshubhai Dave, Debanjana Karmakar, Akash Sharma, Anjana Padmanabhan, Priyam Borpatra Gohain, Sankalp Yaduwanshi, Eman Chaudhary and Sugandha Amol Date. 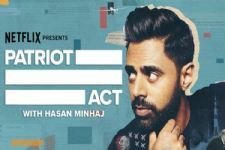 What's the recent furore over Hasan Minhaj's Netflix's show? Find Out! 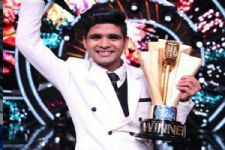 Indian Idol 10 WINNER: Salman Ali Lifts The Trophy & Takes Home 25 Lakhs! The MEDLEY Sung by Indian Idol contestants Brings Back 25 Years of Shah Rukh Khan! Samiksha Bhatnagar in Crime Patrol! Rani Bhatiyani trys to kill Maharana Pratap!